Soldiers on the battlefield commonly form into Regiments and Troops. Ranks and files of fighters make up the core to any army, from the magical Abyssals, to the stalwart Dwarfs. These plastic movement trays allow you to rank up and move your square-based miniatures, or use the reverse side to permanently mount them on a diorama-style multi-base! 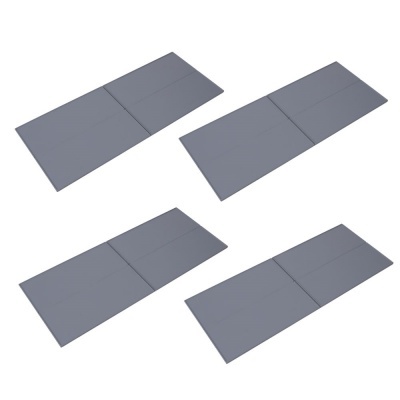 This set contains 4 Hard Plastic Kings of War Movement Trays, suitable for models on 25mm square bases or 25mm x 50mm cavalry bases. Each tray is Horde size - 250mm x 100mm - and can be broken down for Regiments and Troops. The reverse side is textured, intended to be used a base for multiple models.